Today is Tuesday, January 17, the 17th day of 2017 in the Gregorian calendar, with 348 days remaining. 657 days until the 2018 midterm elections. 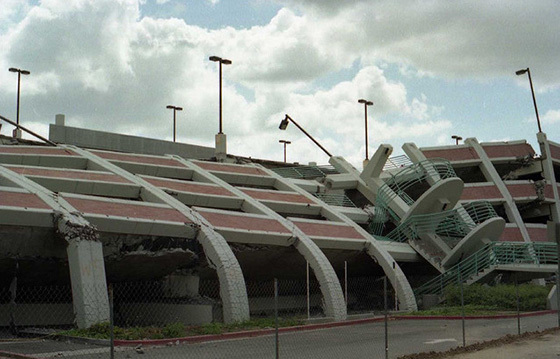 On this date in 1994, The Northridge earthquake struck at 4:30:55 a.m. PST and had its epicenter in Reseda, a neighborhood in the north-central San Fernando Valley region of Los Angeles, California. The death toll was 57, with more than 8,700 injured. In addition, property damage was estimated to be between $13 and $40 billion, making it one of the costliest natural disasters in U.S. history. Florida man accused of squirting conditioner on women, pleasuring himself at Target. As of this writing, The KGB Quotations Database contains at least 45,194 entries. Check it out. "There's nothing like active employment, I suppose, to console the afflicted." Want to get the ol' pep back in your step? A startup called Ambrosia will fill your veins with the blood of young people and empty your pockets of $8,000. What happens when you defund Planned Parenthood? Texas has highest maternal mortality rate in developed world. From 2000 to the end of 2010, Texas’s estimated maternal mortality rate hovered between 17.7 and 18.6 per 100,000 births. But after 2010, that rate had leaped to 33 deaths per 100,000, and in 2014 it was 35.8. Between 2010 and 2014, more than 600 women died for reasons related to their pregnancies. You remove that dusty exterior of Mars, and you have this planet that is just so reminiscent of Earth. It's like finding a dusty Earth in your attic. Chickens changed the world. No, really. The New Yorker's Emily Nussbaum has a lengthy and fascinating piece on the role of humor in the rise of Trump. Take a few minutes and read How Jokes Won The Election-How do you fight an enemy who's just kidding? "Nobody wants to buy them..." Frustrated scalpers losing big money trying to sell tickets to Trump inauguration. Well, duh. Forget about evil AI or Skynet... twisted inventor designs robot that plays bagpipes 24/7. Although extended support is available through January 13, 2020, Microsoft warns that Windows 7 in 2017 is so outdated that patches can't keep it secure. Another one of those "foods that can extend your life" stories: Consumption of hot red chili peppers is associated with a 13 percent reduction in total mortality, a large prospective study has found. Let's hope this doesn't catch on... Shark switches to asexual reproduction, gives male-less birth.